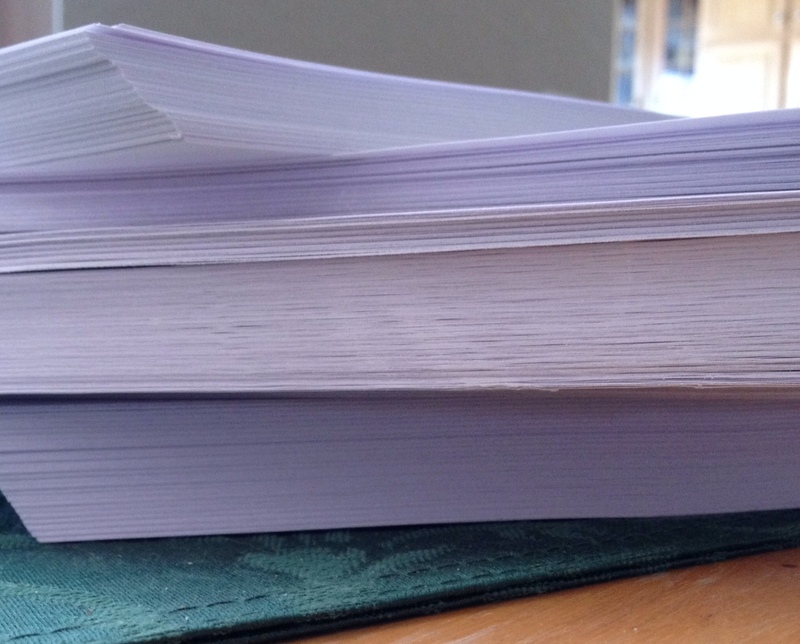 In a few weeks I’ll start tackling the first round of revisions for my newest manuscript. I’ve had a rather scattered approach to this task in the past. Sure, I’d followed the many blog posts on the subject, read many fine books with the answers, and taught countless number of students the reasons they needed to rewrite their three pages stories. How hard could this be? Plenty as it turned out. My process was like links on a web page where one thing led to another and soon I’d end up with a lot of pieces and no full parts. Print out each chapter. 18 for my present story. I’ll paper clip each and work with one or as many as two chapters per day. This minimal goal will help me keep on track. Was their conflict or tension? Would a reader be surprised in any way? Was there a strong voice in the MC’s words? How many of the five senses did I include? If I’m not satisfied with the answers, I’ll do some tweaking to make it right. Overused words. If I see a word more than a few times I’ll go back to the digital version to see how often it lights up the screen in a particular chapter. Too much of a good thing usually isn’t. Cut out unneeded words. For me, it’s usually ones like That, Then, Almost, Very, Up, Down, Around, Only, and Just. Often the words around them get the point across. Show versus Tell. The most common advice for writers. The ‘Telling” areas are easy to eliminate if you are discovering and experiencing the action through the character. I always think about experiencing something like music or a baseball broadcast on the radio compared to being behind home plate or the front row of a concert. It’s a different experience. I want my writing to make the reader feel like they are there with me, rather than me telling them what’s going on from a distance. They need to experience it like I do. Is each sentence written in the strongest way possible? Does it need more voice? Are there more descriptive words? Grammar and punctuation. Microsoft word does help, but having someone look it over can catch errors automated grammar programs my miss. I also use the free online Pro Writing Aid that checks grammar and other aspects of your writing. Repeat #2-4 for each chapter. Read the entire manuscript out loud. Another variation is to record the reading and play it back or have someone else read it while I listen. Great way to see if you’ve nailed the voice and whether there are any rough spots in sentence structure. I’ll highlight areas that need attention and fix them afterwards. If possible, this step is best done in one day . Let the pages sit again for at least a week. This will allow me to get disconnected and let the results settle in my mind. Re-read the entire manuscript. Any gaps in plot? Pacing? Get it critiqued. My normal critique group members are rather overwhelmed this summer so I may seek out some individuals I’ve traded with in the past. Revise again based on their recommendations. My original approach would often take up to a year to complete. If all goes as planned my new plan should take about 8-10 weeks unless major issues are discovered. Once the pages look great I’ll consider whether to use a professional editor. They are helpful in big picture types of editing. I’ve used a few in the past and its been beneficial. I’m hoping this more focused approach to rewriting will pay off with an almost perfect manuscript… If it works I’ll be ready to submit this Fall. This entry was posted in Editing, Writing and tagged Revising drafts. Bookmark the permalink. I love editing, both my own work and others. Sounds like you have a good plan, pretty similar to what I normally do. 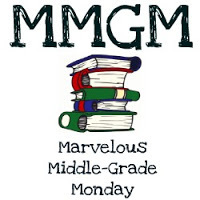 For my last MG WIP, I got behind on the writing and was bringing new pages to my critique group each week. That felt strange. But I am looking forward to doing my first re-read (it’s currently simmering for distance) to see how it came out (writing, not plot). Now back to the shelved YA I’m editing for the umpteenth time – and learning each round. I’ve also grown to enjoy editing, seeing the changes make my story better. Thanks for stopping by. I’ll visit your blog when time allows today. Always like supporting another Colorado author. Good luck with your newest YA and MG. I always print out my work too. it’s amazing how you can really see the bigger picture when you print! This is a great plan. I hope you will keep us posted on how this goes for you. Thanks for the post.